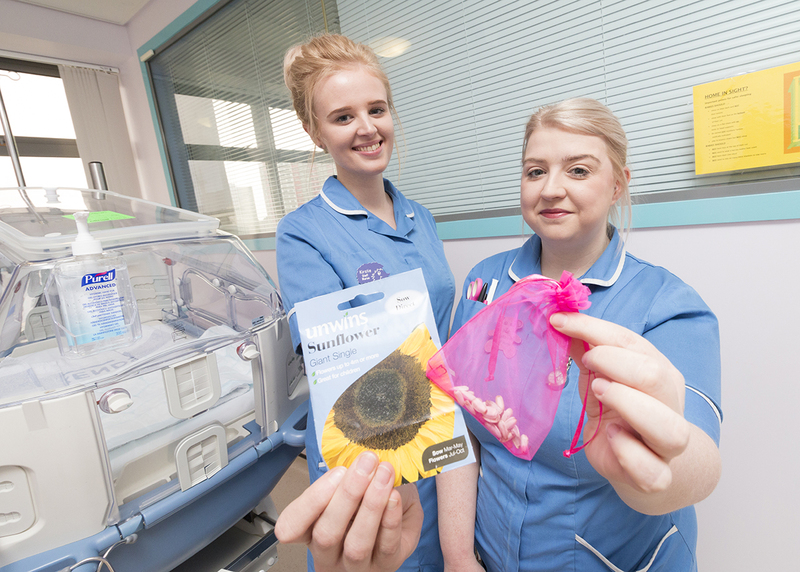 Nurses looking after Hull’s sick newborn babies are giving out sunflower seeds in special Mother’s Day cards to help mums of the babies cared for on the unit. Kirstie Burron and Natalie Cook, both staff nurses at the neonatal intensive care unit (NICU), came up with the idea of making cards to celebrate the special event on Sunday. Kirstie, who has worked on the unit for four years, said: “Natalie and I were talking about it and we thought it would be a really nice thing to do for the mums. NICU is a specialist regional centre caring for babies who require intensive support following birth. Some of the babies have been born prematurely while others have been born with serious health problems. The dedicated team on NICU nurse the babies in different rooms based on the severity of their condition. The Red Room deals with the most seriously ill babies who require round-the-clock intensive nursing, the Blue Room where babies require constant monitoring and the special care baby unit for babies who require additional support. Once a baby is out of danger, they can be moved onto a transitional ward where their parents can stay with them to prepare for going home. Kate Lamming, sister on NICU, said she immediately agreed when Kirstie and Natalie came up with the suggestion for Mother’s Day. She said: “It can be a difficult day for some of the mothers because it wasn’t the way they had anticipated spending their first Mother’s Day with their babies.